"The above poem was written in the hand of my grandfather's brother, music hall comedian Billy Matchett. I have no idea whether it is original to him or not." "Comedian. Born Liverpool, 1890. A Liverpool comic of the old school. I saw him as Chairman in Old Tyme Music Hall. He had all the attack and gusto of the music hall, having learned his trade the tradional Scouser way, via smokers, working men's clubs and concert party. He graduated to play variety, revue and pantomime (always as the dame) at almost every theatre in Britain. He was a regular broadcaster in John Sharman's Music Hall. Through the twenties he took on a summer engagement and took the family with him for the holidays. The children enjoyed it immensely. 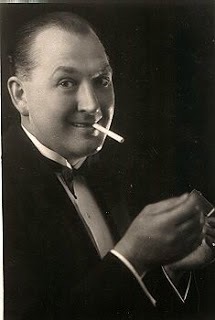 In 1927 he made his London, West End debut as principal comic at the ‘Alhambra’ Leicester Square (now Warner Cinema) in Florrie Forde’s show ‘The Mirthquake’ from which he took his billing, although this was changed when he was appearing in Liverpool, when he was billed as "Liverpool's Own" His theatre heyday seems to be through the thirties when he was keep busy appearing in many Road Shows with ‘The Two Leslies’- Sarony and Holmes, and often with Sandy Powell in summer seasons on Onchan Head, Isle Of Man. He died in his beloved Liverpool on 15 November 1974. Bob Edwards, author and creator of Liverpool Picturebook.